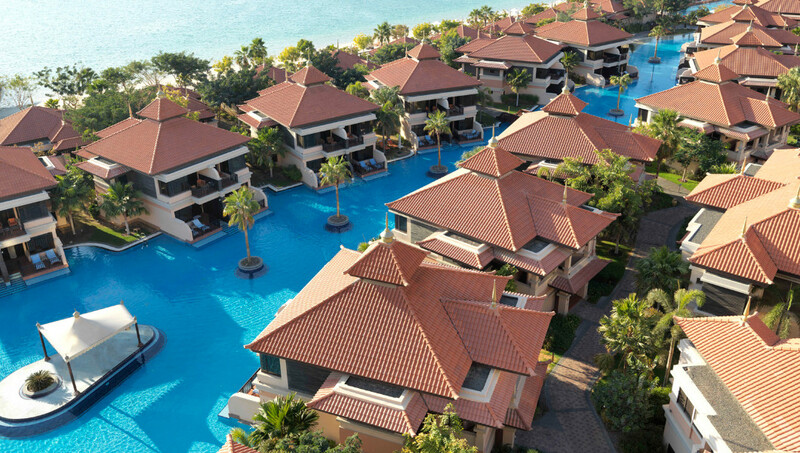 Ideally located for a secluded Dubai staycation, Anantara The Palm Dubai Resort features three chilled, giant lagoon pools that flow throughout the resort, as well as a large infinity pool and a pristine beachfront the length of an Olympic running track. Guests have the pick of best-selling rooms or villas; lagoon access rooms that have direct access to lagoon pools or a beach pool villa that have private swimming pools and direct access to the beach. 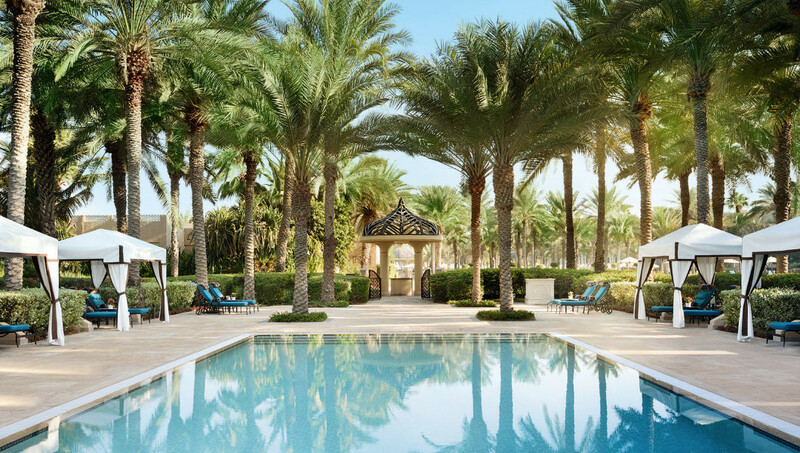 And, when booking via the website you’ll receive benefits such as resort credit for up to $82, which can be spent on food, drinks or perhaps some pampering at Anantara Spa, where expert therapists use the latest innovations in wellness and premium products to offer treatments tailored just for you. Gift yourself and loved ones a legendary staycation this summer from only $244. With guaranteed late checkout, you can enjoy your private sanctuary until 6pm. Escape the city buzz and retreat to the tranquil spa or hammam where you can indulge in 25% off on treatments or unwind and restore with complimentary candlelight yoga. For something a little more adventurous, enjoy complimentary access to Aquaventure Waterpark where pure fun and excitement awaits. There’s more, be in for a chance to receive a surprise gift of afternoon tea, sunset drinks, or upgrade to the next room category and exciting treats for the little ones. Prepare to look good and feel better this summer with the support of Nikki Beach Resort & Spa’s range of cooling treatments, expertly crafted to help each visitor re-charge, re-energise and re-balance. Available until the end of August only, escape the heat and embark on a holistic journey with 50% off Nikki Spa’s eight Signature and Exclusive two-hour long rituals. After you have indulged in the range of expertly crafted treatments, the sauna, steam room, ice fountain, mixed vitality pool, and indoor and outdoor relaxation lounges will allow you to relax even further, providing a serene haven to disconnect and get lost in. Experience the legend of the QE2 during its summer soft-opening phase and take advantage of this exclusive offer for UAE residents – ahead of the October grand launch. The package includes 15% off the best flexible rate online, complimentary buffet breakfast for two, an upgrade to a higher room category and 25% off food and beverage throughout the stay. With the summer months beginning, La Ville Hotel & Suites is vying to fill up your social calendar with an entertaining line-up of luxury and culinary experiences. Our pick for the summer is ‘Dip in the Dark’ at LookUp. 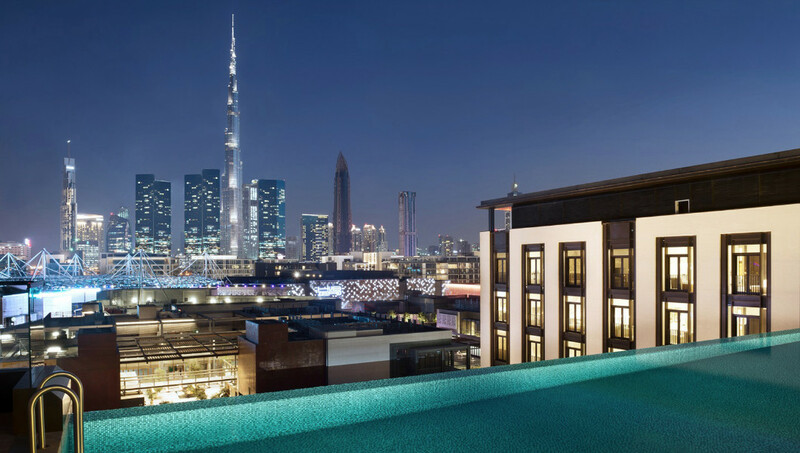 You can celebrate the Dubai summers outdoor and drink in the sunset with a refreshing dip in the rooftop infinity pool, followed by some delicious bites at La Ville’s urban rooftop bar, LookUp. During weekends, venue access reaches AED 150, inclusive of an AED 100 voucher.